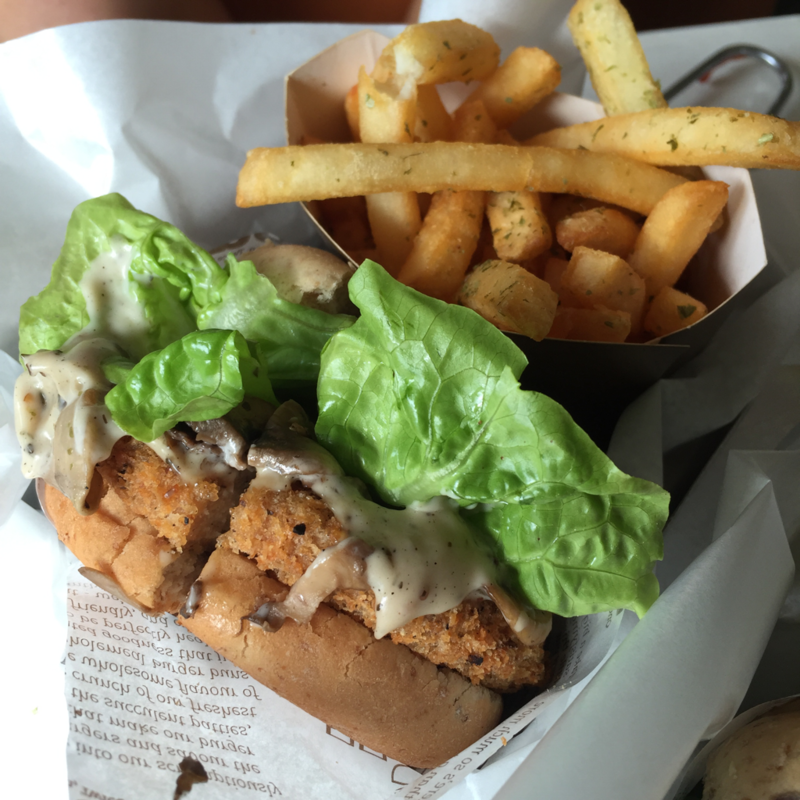 VGANBURG: First vegan fast-food chain restaurant founded in Singapore. 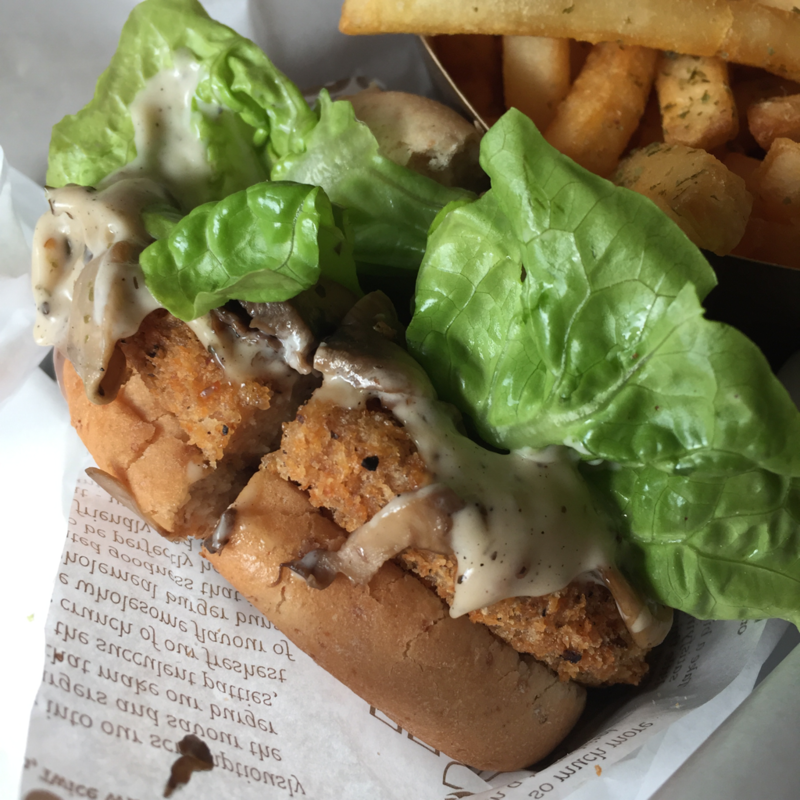 I visited VeganBurg the first time two years ago when I was still a meat-eater and did not like the food I had there (story continued below). However, after returning after two years later, when I embarked on vegetarianism, my second and third visit were really enjoyable. It could be because of the burger I was having, or maybe because of my change in tastebuds. 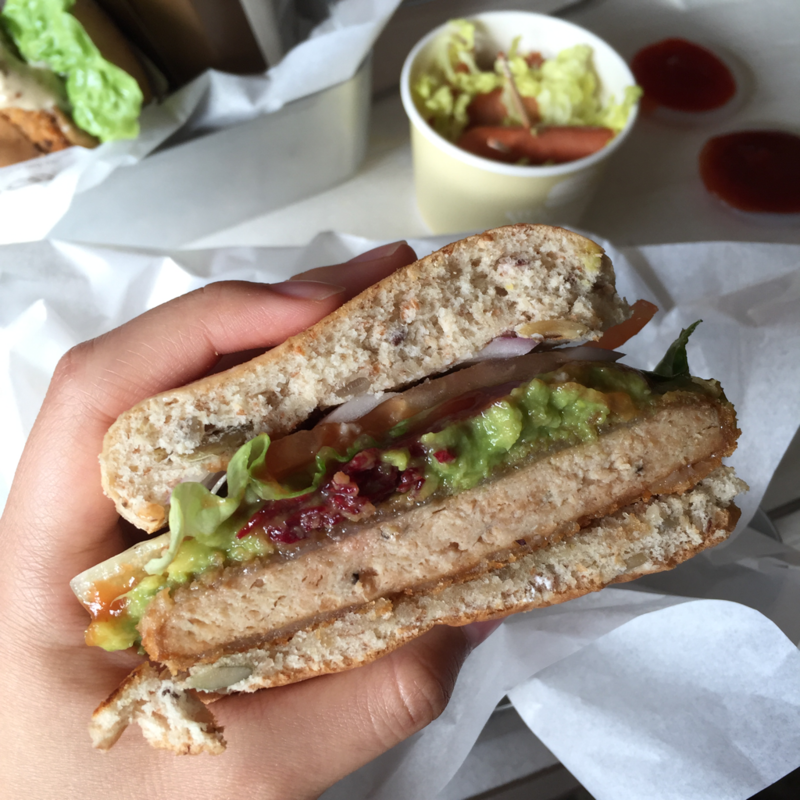 Now, VeganBurg is one of my favourite places for delicious vegan fast-food. 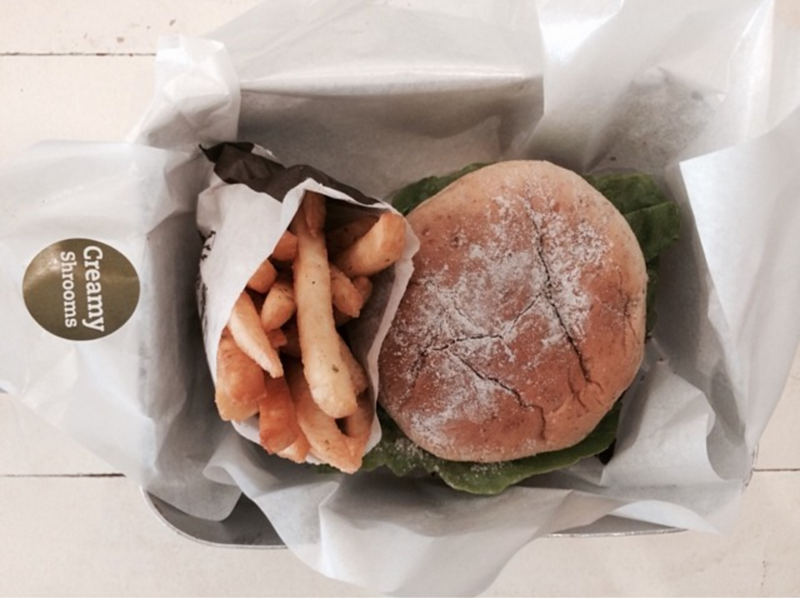 I could literally eat their burgers EVERYDAY. 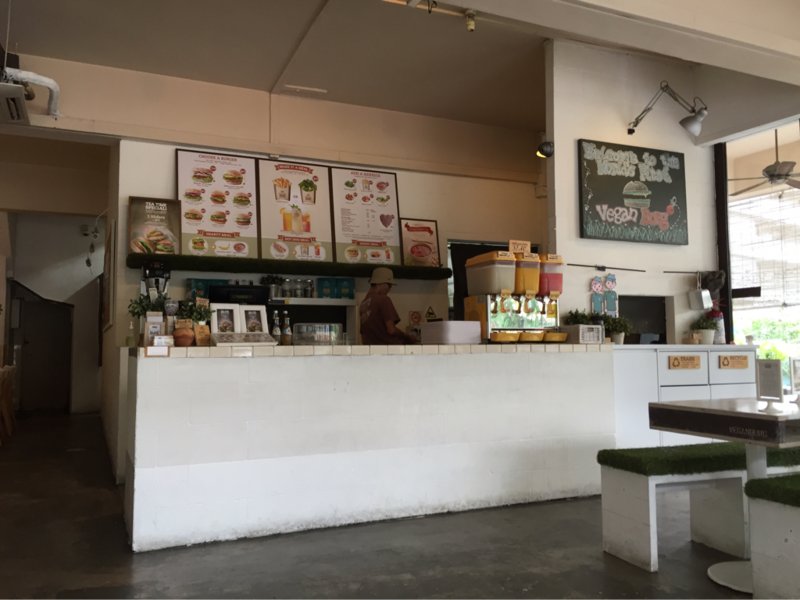 "Totally redefining food pop culture and comfort food with its 100% plant based menu, VeganBurg is a full sensory experience. 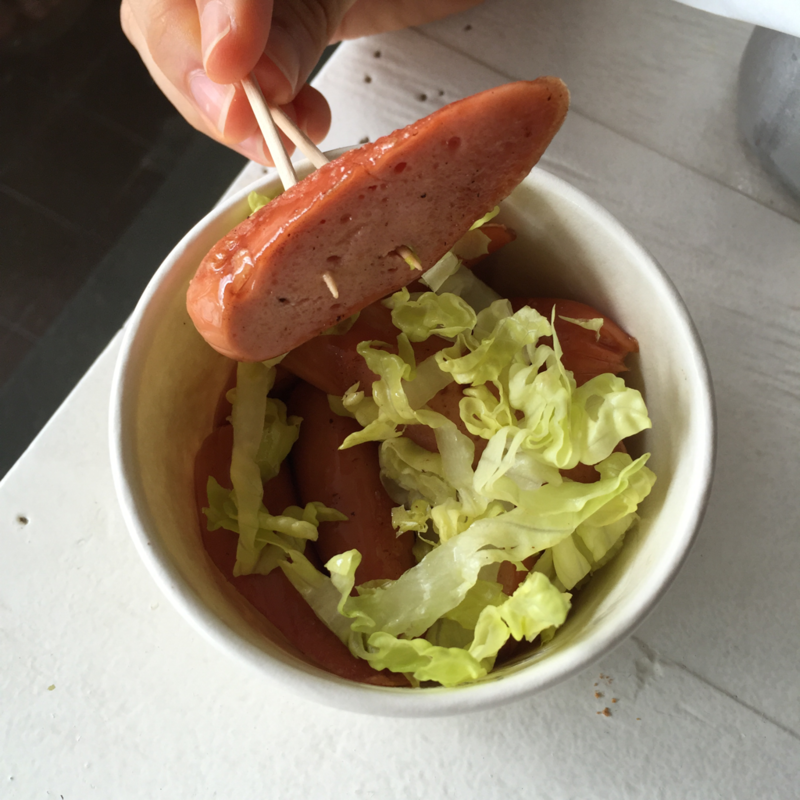 From seeing and feeling the raw industrial safari-themed interior design, smelling the aroma of your favorite comfort food, hearing the crackle of pan-grilled goodness, to tasting the perfect combination of our fiber-fueled bun, farm fresh greens, GMO free patty, and gourmet sauce. 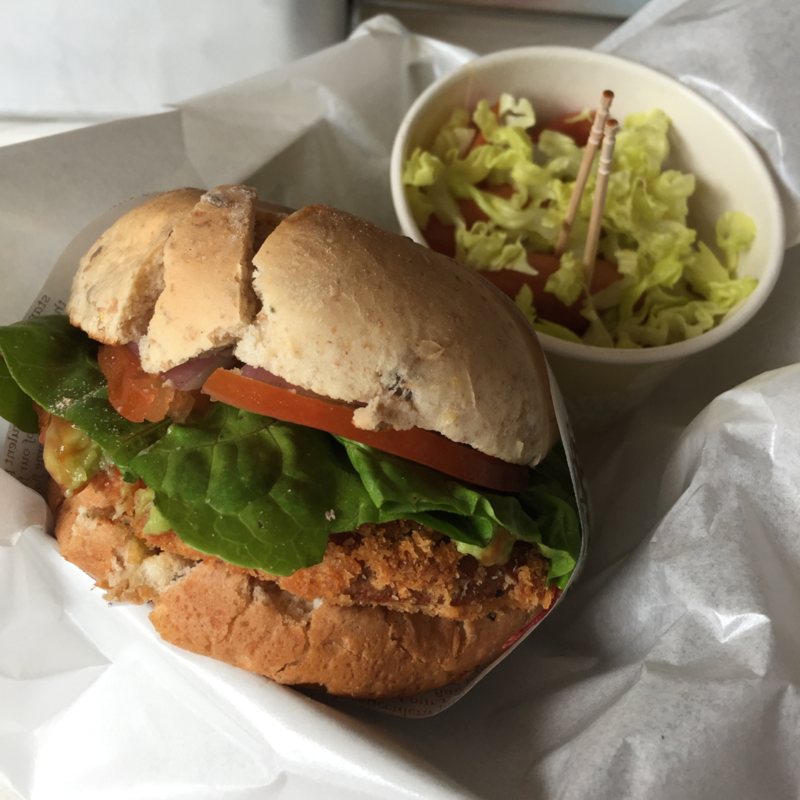 We have fused the concept of a sustainable fast food and serving vegan burgers that are great in taste and nutritional in value. 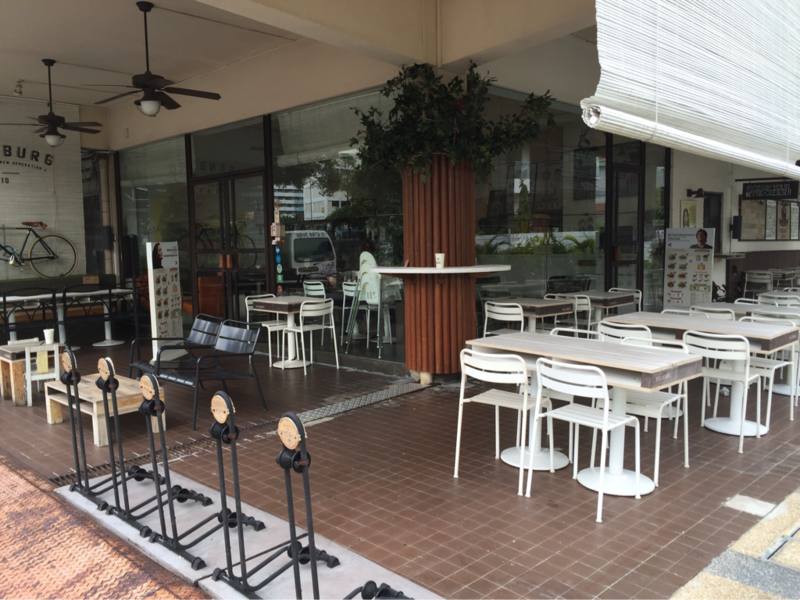 The place is located a stone's throw away from the Eunos MRT station, but there is also a bus stop directly in front of the fast-food restaurant, making it highly accessible. 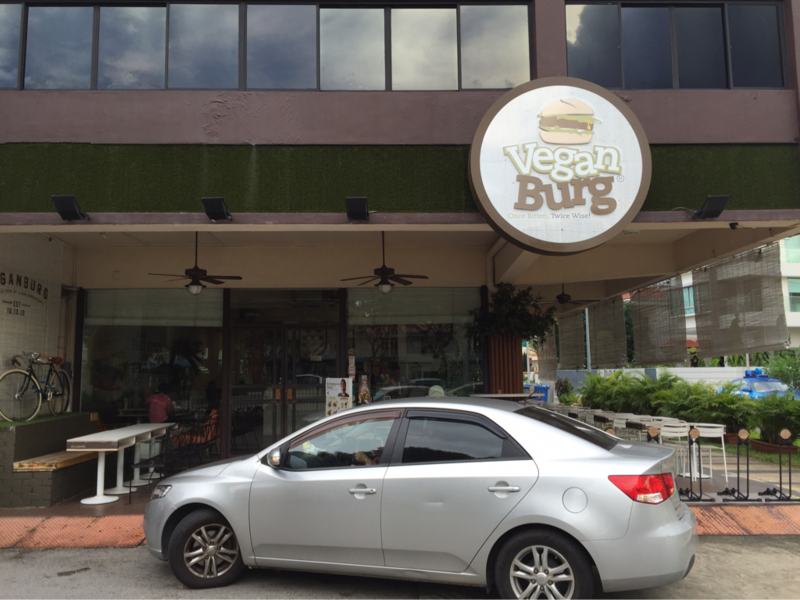 When you come out of Eunos MRT station, just turn left and follow the pathway and you'll eventually see VeganBurg across the road. Cross the road and you've arrived! The huge "VeganBurg" sign is pretty difficult to miss. 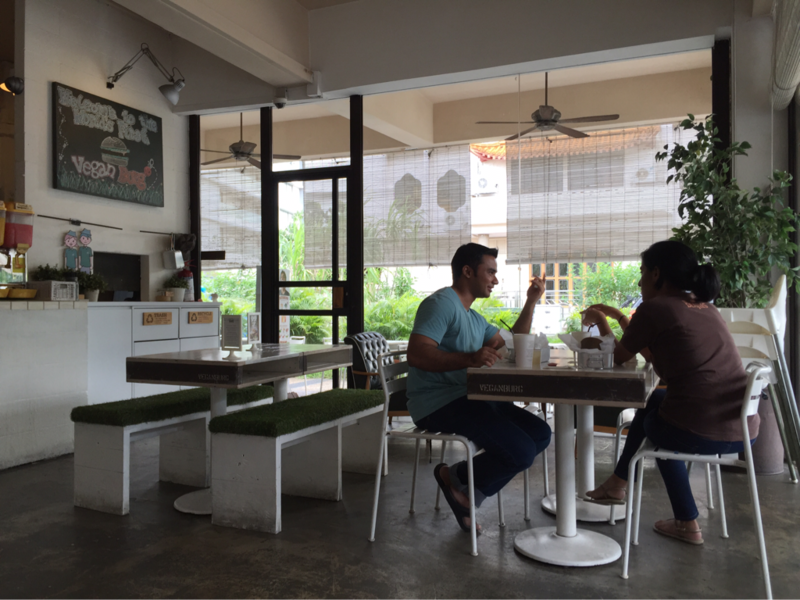 Many outdoor seats for those who don't mind the hot weather for the sake of good lighting. Non-grassed seats also available for those who have grass allergies or simply don't want to feel like their sitting on a field. Menu displayed outside the restaurant. Correction: Sir Paul McCartney and Poh.tato's Favourite Fast Food Joint. 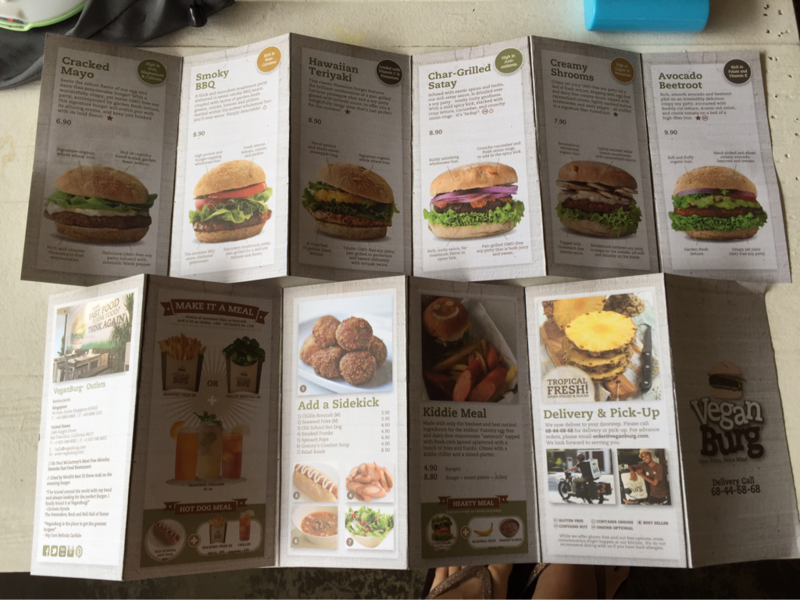 The hand-held menu with more information about the ingredients in the burger and their various health benefits. Delivery is also available through their delivery line! 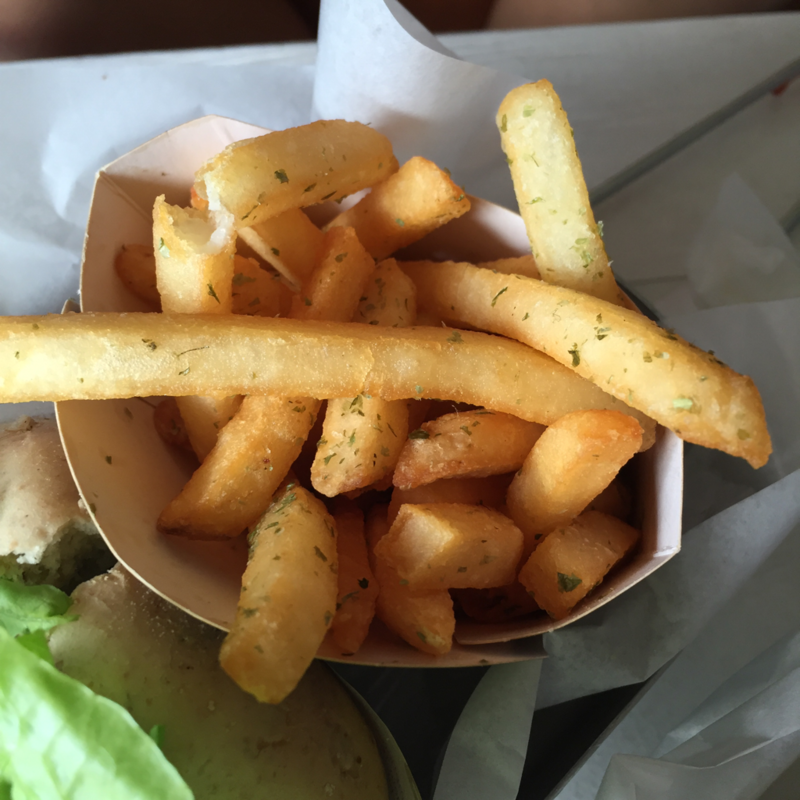 This is a fast-food joint that mainly sells burgers with side dishes such as seaweed fries, broccoli, tofu franks and spinach pops. They also sell desserts like vegan brownies and vegan ice cream! I ordered the smoky BBQ burger the first time I came here to VeganBurg on my birthday. According to the manual, this burger is made up of a thick and succulent mushroom patty slathered in sweet smoky BBQ sauce, coupled with layers of garden fresh greens, onions, tomato and pickles, nestled within the softest wholemeal bun you'll ever savour. 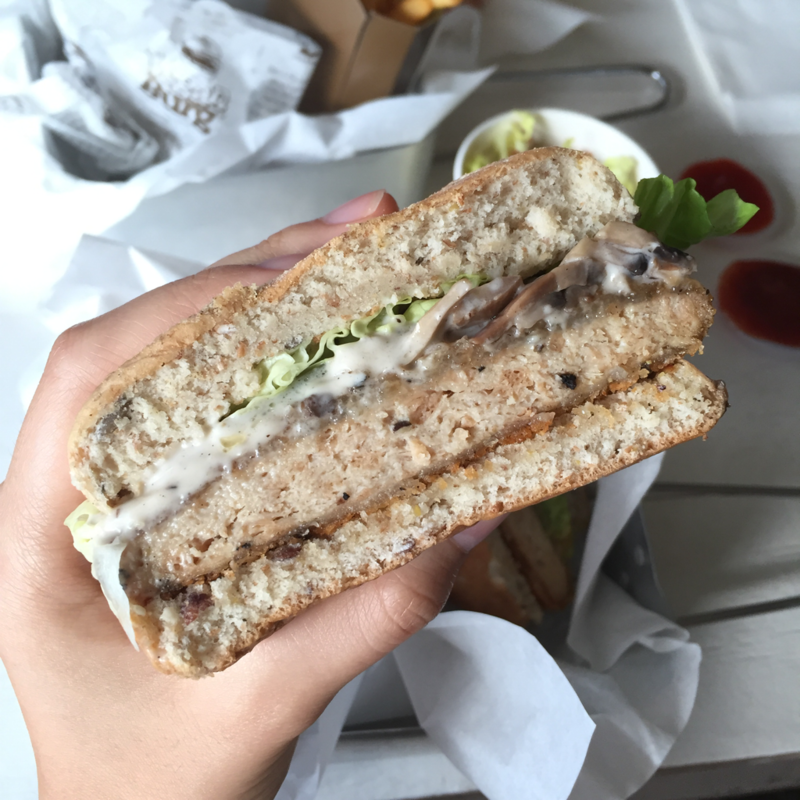 From my memory, I recall the grilled mushroom patty having a really weird texture and flavour, while its BBQ sauce not having a strong enough BBQ flavour. Even though the bun was soft and fluffy and the vegetables were fresh, I did not enjoy this burger very much and hence, my first experience ruined my impression of VeganBurg. 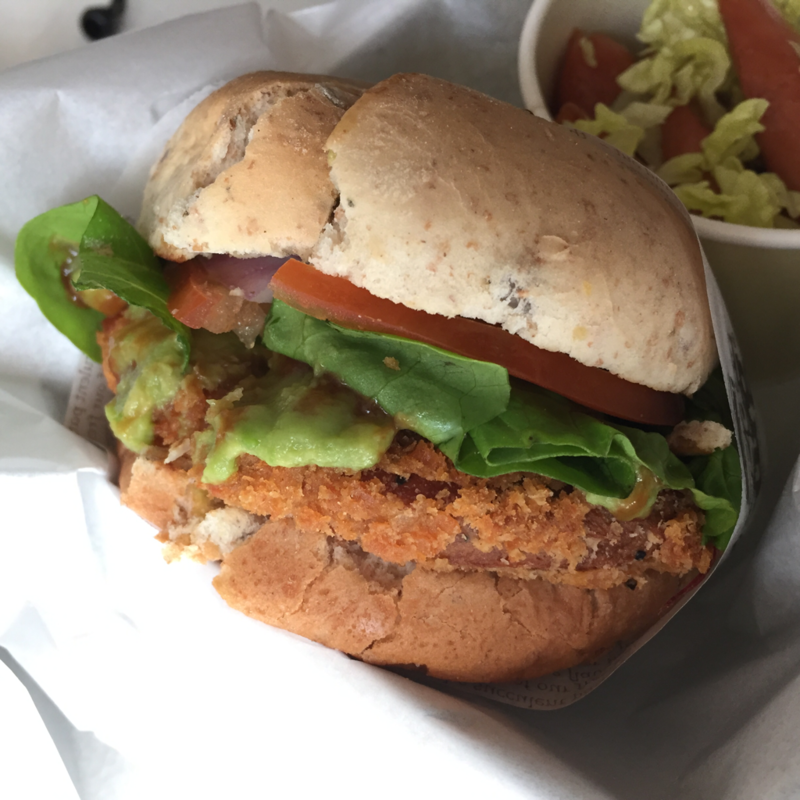 I do not know if VeganBurg has since improved their recipe (as my friend seems to adore this burger), but according to my first taste of this burger, it is not something I would recommend.